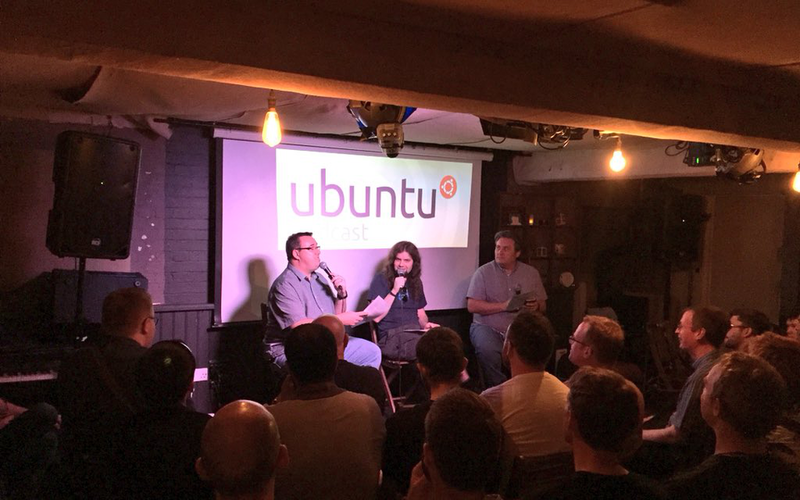 This show was recorded in front of a live studio audience at FOSS Talk Live on Saturday 9th June 2018! We take you on a 40 year journey through our time trumpet and contribute to some open source projects for the first time and discuss the outcomes. It’s Season 11 Episode 14.5 of the Ubuntu Podcast! Alan Pope, Mark Johnson and Martin Wimpress are connected and speaking to your brain. Martin has been at the Electron Maintainers Summit in Prague. Mark has been fixing a leaky toilet. Alan has been at a GNOME Software design sprint. Martin challenges Alan and Mark to contribute to some open source projects for the first time and we discuss the outcomes. Mark contributed to Drupal and Active window control applet (KDE). Alan contributed to Debian and KDE. Hey guys I have been following Nate Graham and his “Usability and Productivity” updates for KDE: https://pointieststick.wordpress.com/ and thought it tied in well with Alan’s recent KDE contribution notes. Nate is doing a great job engaging the community and consolidating weekly updates on bugfixes and usability updates, and gives helpful pointers on how to get involved (check some of the back weeks for more on that). I haven’t spent too much time with KDE in the past but along with others am happy to see the performance gains and some rough edges getting smoothed out to provide a really polished desktop.